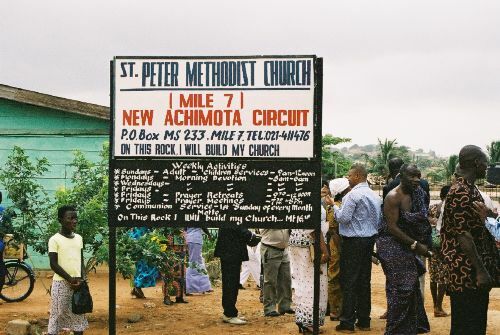 In June 2003 a group from Crown Terrace spent 10 days with the congregation of St Peter Methodist Society, New Achimota, Accra, Ghana. The party took with them a banner created by our women's fellowship containing symbols of both Scotland and Ghana. Further annual visits have followed. 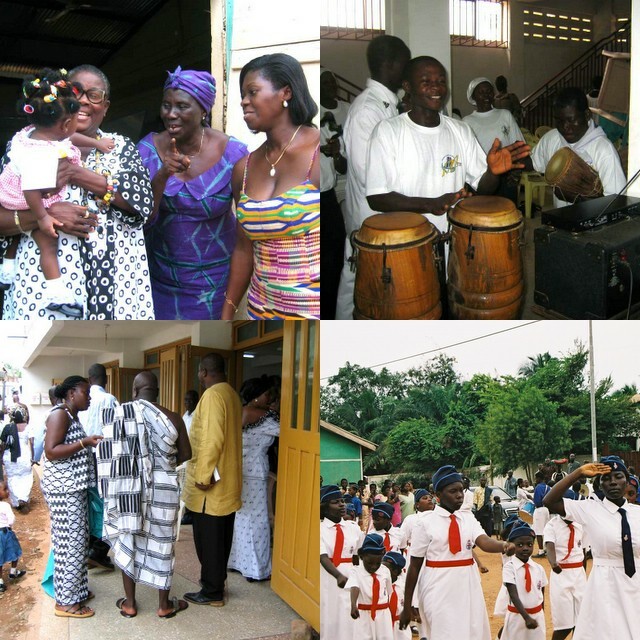 The idea of covenanting with St Peter arose from a recognition that the African church has much to teach us in terms of spirituality, variety and energy in worship, and work in the community. We have been helping to finance some of St Peter's projects.